The Sony MDR-V700DJ studio monitor and DJ headphones feature swivel ear cups for DJ and remix applications. The ear cups are reversible for added flexibility, and the swivel mechanism has auto return. The supra-aural design brings excellent listening comfort, 50 mm diameter driver ensures high fidelity sound. It has a wide molded headband for long lasting comfort and is folding for adjustments. Great for the first ten minutes. 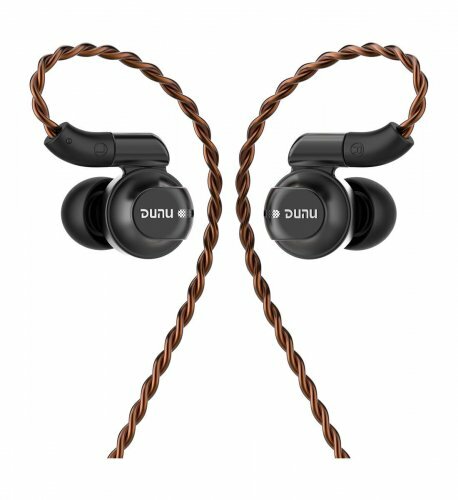 Pros - decent sound, fairly flat, love the coiled cable. Cons - Uncomfortable, they downright hurt. The sound is nice and clear, but whether I'm listening to music for fun, or if I'm working on a project, the discomfort becomes unbearable after just a few minutes. It is to the extent, that I'm shopping for new headphones now. I just activated my head-fi account just today for two reasons. (1) is to get info on new headphones, and (2) is to warn people about these headphones. That is all. Thanks for reading. This was my exact feeling on these. Almost any set of cans with "DJ" designated in the name are utter crap. The head-band is made so you may manually bend it out, so the curve is not so extreme, resulting in a looser fit. I have a big head so I had to do this, and now they feel great! Pros - Bass, Easy to drive..
Cons - Really uncomfortable, build quality is so bad.. I have had these headphones for around two years but they decided to break a few months back. I read online how unreliable they were at the time but still decided to give them a try. They are extremely bass orientated which is perfect if you listen to a huge amount of electronic music like myself, They are loud, the highs are ok but the mids are shockingly poor. They are just over 20ohm if i remember rightly, they are easy to drive. 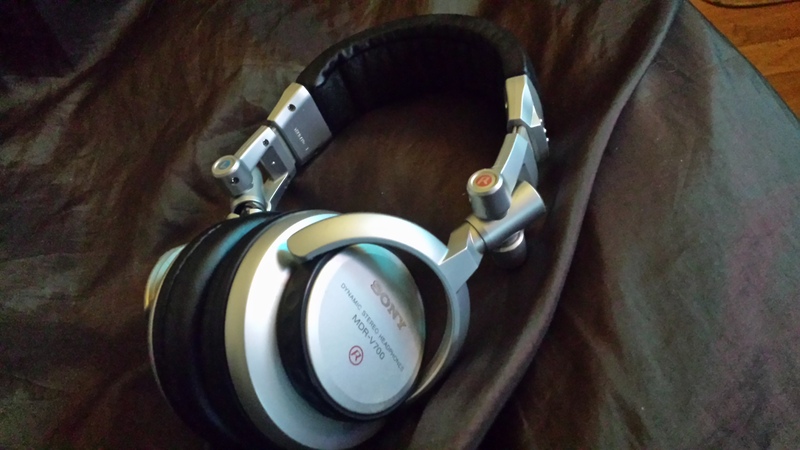 They are meant to be for DJ'in and although i used them for that purpose i also used them to listen to music. They are really uncomfortable after a little while of fully wearing them, to the point that your ears really do start to really hurt. The durability is a joke, they tend to crack on the cheap plastic that controls the cups that swivel. The ear pads are removable to my knowledge but the cable isn't. They have been discontinued now but you can still pick them up on Ebay and stuff but if you ever did decide to do that be careful! .. there was a huge problem with replica/fake copies of this particular model. I paid around £150 at the time and they are NOT worth that amount of money. The cable is coiled and stretches, i found it to be ok but for some people it can really be annoying which i understand but the main purpose with this set is to use them for mixing music. These are good if you like bass but not much else 'stands out'. I would rather pick up a set of Sony MDR-V55 which to my knowledge is the next step after this model and has actually dropped in price significantly to around £45. These can be annoying if you use them as a portable choice because of the coiled cable.. The headphones feel kinda cheap. Pretty much everything on them is made of plastic, and if you move them around too much they tend to make a squeaking noise. No part of them has cracked or broke after more than 3 years of use, but I heard that tends to happen. The ear pads are made from artificial leather (I think), and they were okay, but after about 3 years they started to crack, and then started tearing off really soon (but you can get replacement for cheap). The pads are very shallow, meaning that after a few hours, your ears will be aching. The clamp pressure of the headband is quite strong as well. It has very little padding, but I found it quite comfortable. The cable is not detachable, but after years of use, it's still in perfect condition. 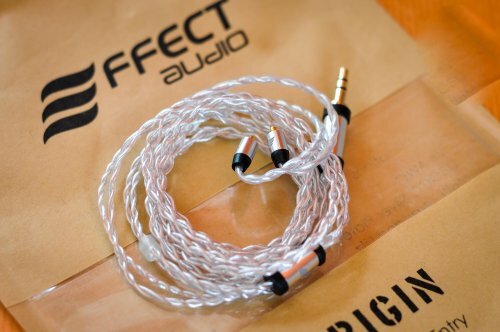 It a coiled cable with both 3.5mm jack, and a screw-on quarter-inch jack, both gold-plated. These headphones are intended for DJs, and they do their job quite well. They provide a substantial amount of isolation, perfect for working in loud night clubs (I know from experience). The cups rotate in all directions and are spring-loaded, great for pre-cueing tracks on one ear etc. At home, they are still a good all-round headphone, especially if you like more bass and/or listen to a lot of electronic and hip-hop music. They are not the most comfortable headphones, but if you take them of for 5 minutes ever hour or two, you should be fine. They can be driven from mobile devices without an amp, and they can be rediculously loud when plugged into my MacBook. They also fold up and come with a pullstring pouch. 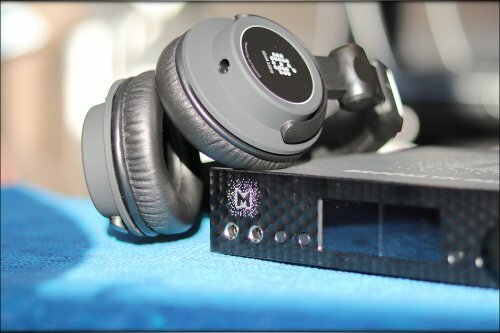 With their bass emphasis they are more suitable for electronic music and for working in noisy environments (where you need to hear the beat...). The treble is OK, the mid-range feels a bit weaker and undefined. The bass is quite extended and feels precise, also reasonably punchy. I do not recommend them if you listen to a lot of acoustic genres... They perform well while watching movies. A good investment IF you're a DJ, or you need them for studio work maybe...Value for money is not bad, they are quite durable. Sound is adapted for electronic genres. Tight fit, loose bass, and cracked plastic: Bustin' a groove or just busting? This isn't going to be my usual sort of review because just the existence of a write-up for the V700 on my usual scale is somewhat tongue-in-cheek, given the reputation these have. However, I did own not one but two pairs of them before I discovered proper hi-fi, and you could say that I technically still have two pairs of them. We'll get to that in a moment, but as a general statement the V700DJ isn't counted among the great triumphs of hi-fi. However, it was a very successful DJ headphone, and in that context its sonic signature makes some sense. I'm not exactly sure when it was first offered, but I know that in early 2012 it was discontinued. Perhaps its infamous durability problems (made even worse in later production runs) contributed, but I think it's more likely Sony simply wanted to update its lineup with better overall performers. As usual, here's the Cliff's Notes version. 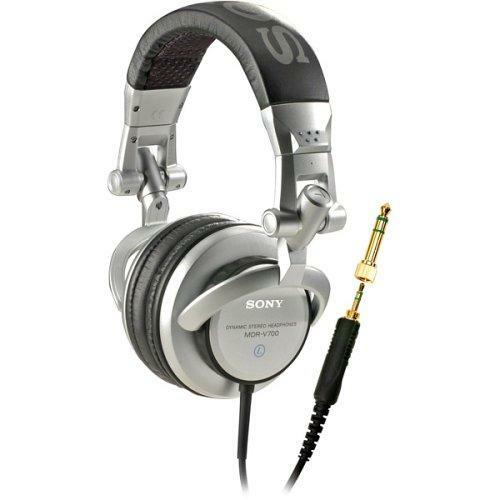 The V700DJ (hereafter referred to as the V700) was the flagship headphone in Sony's Vx00 lineup, and one of two DJ headphones (the V500 being the other). It's not a particularly good headphone by hi-fi standards, as its frequency response is obviously colored. Out of the box they have boosted, somewhat muddy bass, forward, aggressive midrange, and subdued, grainy treble. This isn't a bad response for a DJ headphone, since it emphasizes bass and bass drum and snare drum cracks but rolls off the treble so they can be listened to at high volume without fatigue. On all other technical fronts they fall flat (in the case of the soundstage quite literally), comfort is lacking, and durability is appalling. I haven't personally heard any of them, but I imagine there are DJ headphones out there that don't suffer from these problems. However, there is one fascinating thing about the V700 which makes me just shake my head in amusement. The plastic in the joint mechanism inevitably cracks, and as it does it gradually loosens the fit. 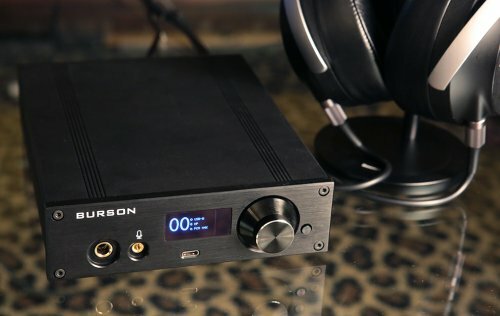 Bass and lower midrange quantity are heavily dependent on a tight fit, so over time the V700 gradually loses bass quantity until it has less bass than a DT880. That's right, a DJ headphone that ends up with less bass than an airhead can--whatever next? What's in the box, Build Quality, Comfort, Ergo, etc. The V700 used to come in a fairly standard cardboard box. I remember it had teal print and a picture of the headphones on it. You got the headphones themselves, a shimmery off-white neoprene carrying pouch, a 1/4" adapter, and an instruction/specifications booklet. Build quality, as alluded above, is abysmal. Both times I got them they broke within a year. The plastic used is brittle and cannot handle the strain caused by the tight fit, so cracks appear throughout the structure, usually around the swivel joints. The headband eventually loses its shape as well, and in my second pair the rubbery covering on the cable started flaking off after a few years and the plastic part around the jack separated and began travelling up the cable, strain relief and all. The cable is nine feet and coiled, though the second unit's coiling is very loosely wound and has almost completely lost its shape. The pads are pleather-coated fabric, and like all pleather pads they eventually dry out and begin cracking and flaking. The only part of these that remains intact is the cups themselves, which are fashioned out of seemingly tougher plastics and which are covered with metal caps. Notice I keep talking about my second pair. That's because my first pair broke unrecoverably after just a year and a half. My second pair broke as well, but, luckily, it broke in different enough places that I was able to substitute parts from the first one in order to keep the second one going for a little over five years. This is not a shimmering endorsement, to say the least. Comfort is initially sorely lacking. These are one of only two pairs of headphones I've ever owned that have caused me physical pain (a Grado SR225i was the other), and both of them, incidentally, were supraaural. That said, the main culprit here is the clamping force. I could wear the V700 for only about half an hour before the pain set in. The headband never gave me any trouble, however, and is actually more comfortable than that on my SRH440. As time goes on, the fit loosens, not because the headband conforms to your head, but because the plastic parts of the band begin breaking. Even completely broken (in) the fit never feels particularly secure despite still being uncomfortably (but not skull-crushingly) tight. As mentioned above, the V700 has a sculpted frequency response. Or, it would, if it didn't break. It actually undergoes a fascinating transformation in which, in the end, tonally it actually sounds like a Grado with some added treble tizz. Imagine that! I'll evaluate its pre-broken (in) sound first, then describe how it "evolves." Every stereotype you've ever read about "fart cannon" bass is true of the V700 to some extent. There isn't much extension, but there's a healthy bump in the mid- and upper bass department, enough to impart warmth on the lower mids. Its not particularly tight and tends toward boomy. Texture isn't anything to write home about, and impact is woolly. Very forward, and not in the tasteful way of some mid-forward hi-fi sets. The V700's midrange can be shouty and it lacks transparency. There's also quite a bit of grain, which carries over into the treble. I remember my first impression was that it made all my classical recordings sound "old." A rather astute observation for a 13 year-old, but nevertheless I still listened to them for another eight years. Subdued, non-fatiguing, but not entirely smooth. The treble is definitely a complement to the rest of the signature and not a major component. There isn't much extension here, either, and the overall character tends toward tizziness. The V700 in general is not a tremendously detailed set, and a little more treble might have helped here. But, of course, it would have made them more fatiguing at the high volume these are likely to be used at. As the plastic bits break, the bass and lower midrange gradually shift lower in the mix. Eventually they reach a point where they're well below baseline, such that a DT880--that true basshead can --sounds bassy next to them. In this state, the midrange completely monopolizes the balance, and leakage is quite substantial (due to lack of a proper seal). I'm sad to say I probably listened to both pairs like this for the majority of the time I used them on account of their quickness to break. I wish I could do it over again, but time spent listening to crappy headphones is time you can never get back. As usual, I'm separating this into three main categories: soundstage, imaging, and transparency. The V700 does not have a terribly large soundstage, either in width or depth. In fact, pretty much all of my other headphones improve upon its presentation in every respect. The overall presentation manages to escape a feeling of outright confinement, though--I think the word to use here is intimate. Imaging isn't bad overall. In fact, I have yet to come across a headphone with truly bad imaging. I'm not denying such a headphone exists, but even the kiddie phones I found in the storage barn could image competently. As far as the V700 is concerned, it's your typical planar presentation, with everything coming at you from the same (intimate) distance and very little layering. This isn't an offensive presentation, but it's certainly not top shelf. Transparency is sorely lacking. Putting them on again after years without listening to them, they sound like a transistor radio. Granted, that's mostly because the bass has completely disappeared, but that doesn't excuse the inescapable feeling that you're listening to a set of headphones. Good gear disappears in use, and the V700 definitely does not. The graininess contributes to this, but the main culprits are lack of detail and lack of treble. The forward upper mids don't help, either. Here we'll talk about detail and texture. The V700 manages to gloss over most of the inherent texture in the track but imparts its own grain onto everything. This makes this section very simple: the V700 is lacking in both detail and texture. Listening to music on them feels like trying to watch the television across the room without wearing my eyeglasses. Back when I was in fifth grade, before I got my first pair, I wasn't aware how sharp and clear the world was to people who had proper vision. I'll never forget the first time I put them on just what a revelation it was. That was how I felt when I first listened to the M50, and going back to the V700 after that was like taking off my glasses and trying to look at the world: it's never the same again once you've seen it properly. At this point there's not much more I can say. The V700 is certainly a purpose-built tool. However, I can't help but feel that its problems come more from the inherent limitations of its drivers than its sculpted tuning. I imagine other DJ headphones that have been tuned similarly might be able to produce more detail or exhibit better control over their sound. I also imagine that other models will be more comfortable or practical (i.e. circumaural instead of supraaural). And I'm almost certain that none of them has build quality as poor as the V700. This headphone has been retired, and apart from perhaps one person I've come across here on Head-Fi, I don't believe anybody will miss it. They did manage to make some nice headphones, though, to be fair. 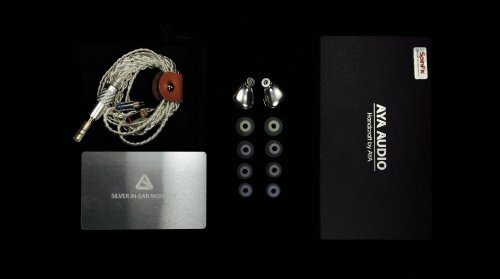 The R10 and Qualia are of course revered, and for us mere mortals the V6/7506 aren't terrible headphones. They're just outclassed in the current market. The ZX700 is supposed to be pretty competitive, and of course if one somehow fell into my lap to review I'd be happy to put it through its paces. But, yeah. The V700 definitely goes on the fail list.